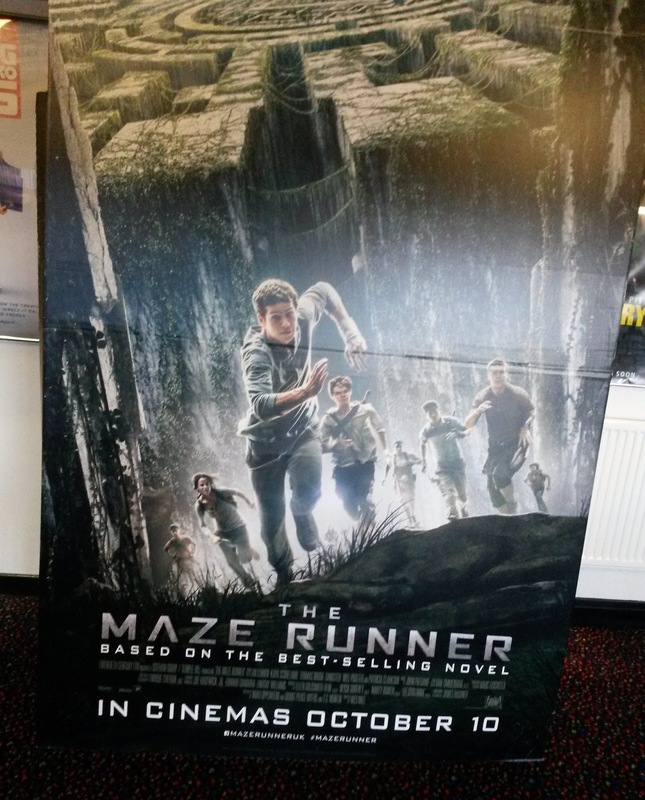 The Maze Runner was released in the UK today and I was fortunate to be, probably, one of the first to see it. My local cinema had the first screening at 12.50pm and I went along for the ride. Not going to lie, I didn't have a clue The Maze Runner was actually a very successful book series with 4 in the collection until I started to write this post - that's another for the Christmas list. I first heard of The Maze Runner when my boyfriend dragged me along to see The Inbetweeners - A film I'm personally not a fan of. I don't like the series either - and I have to say I was instantly drawn to it. The Maze Runner is an action, mystery sci-fi and centers mainly around one boy, Thomas. Thomas is thrown into a community full of boys, an enclosure if you will via a lift. Around the enclosure the boys live within is a giant wall and beyond the giant wall is the maze. Thomas entered the Maze not knowing who he was, but he knows to survive he much join forces with the others to be able to enter the maze and hopefully escape. One boy in particular doesn't warm to Thomas to kindly and is soon on the war path and hoping to change people's views on the new boy. Thomas joins in in becoming a runner and learns about himself, and others by doing so. Not everything is what it seems though, has he soon finds out when a girl is thrown into the mix and the last, ever, of people that have been coming monthly for the last 3 years. The film ends with what seems to have been a test and the start of phase 2. I really don't want to give to much away to anyone who is wanting to watch the film. I totally recommend this film, 100%. I was instantly drawn to the trailer and was completely satisfied from start to finish. I was completely drawn, they were plenty of mystery surrounding it and sense of adventure throughout, not forgetting the action. I had know idea what was going to happen next, who would die or survive, how it would end. It literally was one huge mystery. I can't tell you how excited I am for the next one and I'm not lying when I say the books are making there way to my Christmas list, I've already told my Mum. Have you watched this film or plan on doing so? Let me know in the comments below. ooooh I have been on the fence about watching this film, but I think I might give it a whirl now! Thank you for taking the time to comment, I read every single one of them. If you have any queries don't hesitate to email me at ABSparkle@hotmail.com or for a more prompt reply, head on over to Twitter or Instagram @ABritishSparkle.